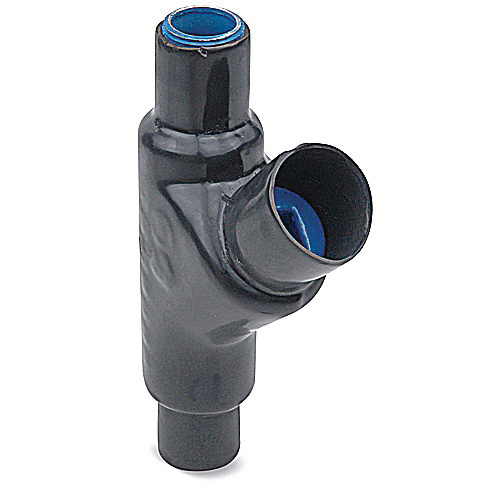 Thomas & Betts Ocal® Screw-in straight flex connector in gray color, features ductile iron construction with PVC coated finish. It is suitable for use with hazardous location fittings. Connector with female connection, has trade size of 1-1/4-inches.